Looking for deals in Istanbul? Situated 500 metres from Istanbul Archaeological Museum, Glamour Hotel boasts a sea-view terrace, and air-conditioned rooms with free WiFi throughout the property. Hagia Sophia is just 700 metres... The staff are very kind. It is very close to the station and the harbor, there are plenty of shops and restaurants, which is very convenient. The view is very wonderful!! Located in the Fatih district in Istanbul, 400 metres from Hagia Sophia, Antusa Palace Hotel & Spa features a restaurant, bar and free WiFi throughout the property. I like the friendly and helpful staff.. the AC is very good..location is in the heart of Sultan Ahmet with a nearby mini market and a lot of different restaurants.. Featuring free WiFi, Renata Hotel offers accommodation in Istanbul. Rooms are very clean and well furnished, exactly as seen on the pictures. Staff was quite helpful. The location is also great: this is probably the most high-end neighborhood in entire Istanbul; tube station is only 3-4min walking, offers direct line to Taksim, Shishane and Sultanahmet. Located in the heart of Historic Peninsula, Peyk Hotel is within a walking distance from many historic sites such as Topkapi Palace, Hagia Sophia and Blue Mosque. Staff is very helpful, location is great, breakfast is wonderful. Having Safe Hotels Executive Level Certificate for 2016 - 2017, Swissotel The Bosphorus Istanbul offers five-star luxury accommodation with its exclusive rooftop pool and award-winning spa. One of the best hotels in Istanbul. Very friendly staff and very helpfull. The location is perfect. Situated 500 metres from Column of Constantine, Golden Royal Hotel features rooms with air conditioning in Istanbul. Among the various facilities are a shared lounge and a bar. It was a very very nice and comfort hotel . All te city attractions were walking distance . Offering free WiFi, Deluxe Newport Hotel is located in Istanbul, within 300 metres of Column of Constantine. I liked all. Stuff is very friendly. Specially Cazim and Ayhan. Very kindly and helpfully. Set within 300 metres of St. Anthony of Padua Church and 600 metres of Istiklal Street, Walton Hotels Taksim Pera is set in a 19th century historical building where Paul Parma the Italian Tailor to... Staff is amazing and Ayca is wow a wonderful person always trying to help . Set in the business district of Atasehir, Park Inn by Radisson Istanbul Atasehir is 30-minute drive from Sabiha Gökçen Airport. Quality rooms with all new and clean furnishings. Good and fast administration service. Located in the Old City of Istanbul, this hotel is within walking distance to Hagia Sophia, Blue Mosque and Topkapi Palace. Best Point Hotel Old City offers air-conditioned rooms. The beds are extra comfortable! And Hamam in the room is a must have! Excellent! Elite World Asia Hotel is located in Istanbul in the Marmara region, 500 metres from Hilltown Shopping Centre and 12 km from Bosphorus Bridge.The property has a restaurant. The customer service was brilliant, especially cesur. Set within 400 metres of Taksim Square in Istanbul, Mukarnas Pera Hotel features a fitness centre and a terrace, as well as free WiFi. Great hotel! I will definetely stay at Mukarnas Pera hotel for my next trip! Situated only 300 metres from the Blue Mosque, Sultan Mehmed Hotel features a 24-hour front desk and free Wi-Fi access in all areas. Hagia Sophia and Basilica Cistern are 650 metres away. The Owner and the Staff went out of there way to make our stay very very pleasant at all times . Located in a 139-year old historical building, Hotel Miniature is just 700 metres from Hagia Sophia, and 800 metres from Blue Mosque. It is central to all main attractions. Hotel Ibrahim Pasha is just a 2-minute walk from the Museum of Turkish and Islamic Arts. It features a roof-top terrace with views of the Blue Mosque, and free WiFi. Great location. Rooftop views are amazing. Staff were helpful to provide information. Offering a rooftop terrace and courtyard, Berk is in Sultanahmet, a 2-minute walk from Blue Mosque. It has rooms with free Wi-Fi. If you visit Istanbul, Berk guesthouse is a great place to stay! This charming hotel is quietly situated in Istanbul’s lively Sultanahmet district, a 5-minute walk from the Blue Mosque. It offers free WiFi and an inner courtyard with a fountain. A hotel in Istanbul is always something special in case it’s not a part of any widely known chain. What are the best hotels in Istanbul near Istanbul Ataturk Airport? Travellers who stayed in Istanbul near Istanbul Ataturk Airport (IST) have said good things about Tav Airport Hotel Istanbul, WOW Istanbul Hotel and WOW Airport Hotel. On average, it costs £42 per night to book a 3-star hotel in Istanbul for tonight. You'll pay on average around £67 if you choose to stay in a 4-star hotel tonight, while a 5-star hotel in Istanbul will cost around £108 (based on Booking.com prices). Which hotels in Istanbul are good for families? Many families visiting Istanbul loved staying at Sultan Mehmed Hotel, White House Hotel Istanbul and Nomade Hotel Exclusive. What hotels in Istanbul are good for couples? These hotels in Istanbul are highly rated by couples: White House Hotel Istanbul, Blue Tuana Suite and Sultan Mehmed Hotel. How much does it cost to stay in a hotel in Istanbul? On average, 3-star hotels in Istanbul cost £38 per night, and 4-star hotels in Istanbul are £64 per night. If you're looking for something really special, a 5-star hotel in Istanbul can on average be found for £119 per night (based on Booking.com prices). What is the best neighbourhood to stay in Istanbul? 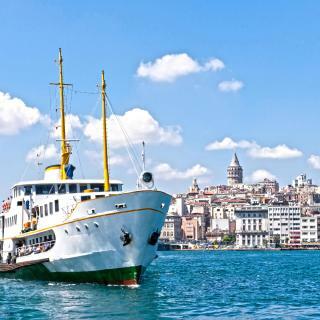 Old City Sultanahmet, Taksim and Ortakoy are popular with other travellers visiting Istanbul. How much is a hotel in Istanbul for this weekend? The average price per night for a 3-star hotel in Istanbul this weekend is £90 or, for a 4-star hotel, £130. Looking for something even fancier? 5-star hotels in Istanbul for this weekend cost on average around £196 per night (based on Booking.com prices). What hotels in Istanbul have nice views? Fraser Place Anthill Istanbul, Blue Tuana Suite and Swissotel The Bosphorus Istanbul have received great reviews from travellers in Istanbul regarding the views from their hotel rooms. What are the best hotels in Istanbul near Taksim Square? Some of the best hotels in Istanbul near Taksim Square include Taksim House Suites, Villa Pera Suite Hotel and Sentire Hotels & Residences. 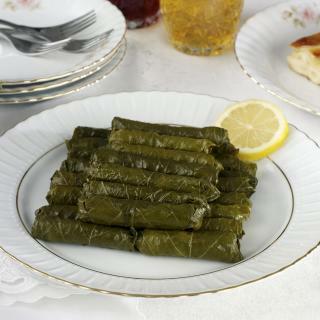 What hotels in Istanbul offer an especially good breakfast? 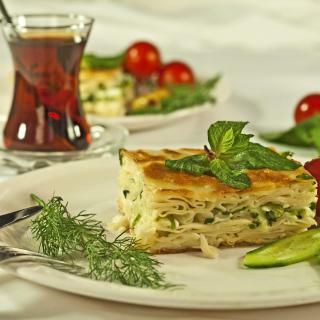 For hotels in Istanbul that serve up a highly-rated breakfast, try Sultan Mehmed Hotel, Peradays and Idylle Hotel. What are the best hotels to stay in Istanbul? Katelya Hotel, Renata Boutique Hotel Sisli and Peyk Hotel are some of the popular hotels in Istanbul. The city of Istanbul offers a trip unlike any other, encompassing Asian and European cultures to create a heady mix of art, music and food. The amazing Old Town and the Sultanahmet are home to iconic Blue Mosque and the Hagia Sophia. More history is hidden in the Topkapi Palace, where you can glimpse the splendour and opulence of Turkey’s Ottoman heritage. Take a stroll through the historic centre or the bustling Taksim Square before watching the sun set behind countless mosques and minarets. Local fish markets and numerous restaurants lining the bridge to Galata offer the Golden Horn’s daily catch. If you prefer the fine art of bargaining to fine art, lose yourself in the Grand Bazar and maybe you’ll emerge with a hookah, some Turkish coffee, or even a carpet. 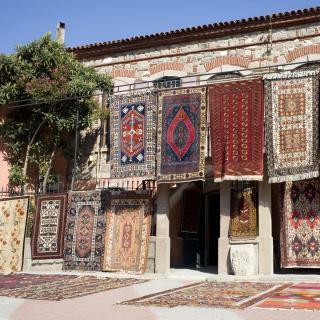 The Spice Bazar further immerses you in the sights, smells, and tastes of Turkish culture. Getting to Istanbul is an easy trip from Ataturk International Airport or Sabiha Gokcen Airport. Whether you want a luxury hotel on the Asian side or a budget hostel in Taksim Square, Booking.com has over 1,000 great accommodations for your holiday in Istanbul. Istanbul is an excellent city to visit, especially for tourism. My stay here has been for both tourism and work so I have stayed for quite a while and have got to know it well and enjoyed my time here. The main area to visit is Sultanahmet of course and all of its many wonders; the Grand Bazaar, the Blue Mosque, Hagia Sophia, Basilica Cistern, Topkapi Palace and the beautiful Gulhane park. Then there is Taksim and Eyup. Price-wise the weak Turkish Lira makes Istanbul an affordable place to stay and visit. Transport is cheap, food is cheap and if you go to the right places everything is cheap! If you get a chance I would recommend visits to Eminonu and the Misir market and the underground market under the Eminonu tram line there. Also Hamdi restaurant in Eminonu is very good, if you get a chance to have dinner here you will enjoy it. Aqua Florya mall which is close to the airport and on the coast meaning the airplanes fly very low over it and give it a certain flavour and it also has a funfair next to it and a long patio stretching across the coast (if you can afford it, book a room in the nearby Crowne Plaza and get yourself a private massage, excellent hotel), and also the aquarium here. Water Gardens mall in the Asia side of Istanbul which has an amazing dancing fountain in the middle that puts on shows every 30-60 minutes. In some areas outside the tourism hotspots people can be very rude and off putting. Be careful you don't get ripped off and feel free to compare prices and tell shop keepers you will think about it and come back later. It was my 26th holiday in Istanbul in 13 years time and i will be back in march 2017. 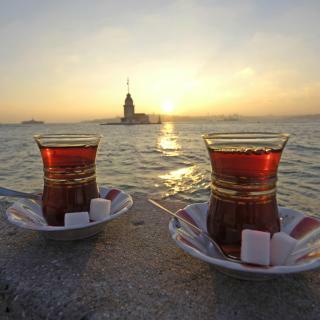 To me ISTANBUL IS THE MOST BEAUTIFUL CITY IN THE WHOLE WIDE WORLD <3 I stayed at Murat Crow Hotel in Beoglu Taksim. Nice hotel, elegant big rooms and the best location in Istanbul to me ! I love the place ! Full of history and beutiful art everywhere Busy city Use the metro and the tram to save you money ! 1-take the hup-on hup-of bus ! Room around the city and make a list of the places you want to visit ! 2-priotrize your list and use the hup-on hup-of bus to drop u on and off 3- take a day rest(you will need it ) and room around your hotel area 4-plan to go to capacokia for hot-air palon I didn't enjoy the princes island as it is occupide by too many people andif you go on a cruis ship with a tour group all what you will see is houses and tourists around the place ! 5- bargain bargain bargain and do not let them fool you ! 6- when you chose to change dollers to TL ! Check many exchages shops before you setlle on one ! You will find a good deal around ! Sadly only stayed 2 nights, but managed to get tickets to watch Besiktas v Galatasaray which was played at the Olympic Stadium because of the redevelopment of Besiktas's Inonu Stadium. INCREDIBLE atmosphere. 2nd night was staying at the Great Fortune Hotel, Sultanahmet, which I would highly recommend. Great location and very nice rooms. Celtic getting a point off fenerbache. Place is buzzing 24/7. It's like a city of neon at night. Very reasonable for accommodation and eating out. Four and five star hotels for incredibly cheap prices compared to UK. We liked everything about Pera Luna Residence. The room was very clean and comfortable. The cleaning ladies were very nice and sweet. The location is very good only few minutes walk to Taksim Square. The staff were super helpful. Ahu and Erkan were the nicest people we met in Istanbul. Thank you Ahu and Erkan for putting a smile on our face. You are just amazing. Ask the staff if you need some directions or booking of a taxi. They know better ;) We will definitely book Pera luna residence when we come back to istanbul. The best place we stayed in turkey. The hotel’s cleanliness is impeccable. Breakfast was very good. A 6 minute walk from blue mosque and tram. Staff is always available. You can see the blue mosque, Hagia Sophia, and bosphorus from the terrace. We are a couple but through booking.com allowed me to book for a singles room, they charged me a 20 euro extra but it was so worth it, the smaller room was enough for us and it was cozy. Best wifi we had as well. Would highly recommend to anyone staying in Istanbul. the staff was rude with me when i checked in, he wanted to overcharge me for an additional guest ( which was already registered in my booking ) .. the hotel is 3 star and not 4 star, the images are a lie, breakfast is a lie, TV is so small and can not watch anything ! it is not that clean ! the place itself has a great view over the blu mosque, you ll enjoy it either from your window or the restaurant with the terrace ! i would not recommand it ! Amazing location. 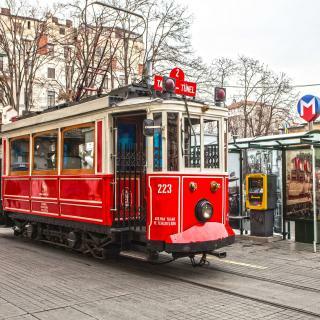 Just a few steps from Metro Station Sultanahmet and all major attractions of historic Istanbul at walking distance. Awesome restuarants around the place and lots of things to do nearby. Hotel management was very kind and organized airport transfers and guided about tours / Bosphorus Cruise and helped booking them all for us. We were travelling from Dublin Ireland and would definitely recommend and stay at same place in future. I am extremely happy me and my friends got to stay at Arart hotel. It was very clean and located in the best area in Taksim. Selçuk the manager organised taxi pick up from airport to the hotel. He was very helpful in giving us advise on where to go around in istanbul and made sure we had a pleasant stay in his city as well as his hotel. Very pleased with the service and will be coming back to stay at Arart on my next visits to Istanbul. The location is great, it is few minutes away walking from istiklal street and seconds away the Bosphorus. If you are visiting istanbul for shopping it is a nice place to stay in since it is close to taksim. The staff and owners there are very friendly and make you feel home although it is a small hotel. Not a huge variety in food at breakfast but it is good value for the money invested. Absolutely amazing hotel with lovely attentive staff, especially at the front desk and the concierge Haroon! They couldn't do enough for me, my husband and 3 children and went out of their way to help us with anything we needed! Attention to detail at this hotel rivals any 5 star luxury hotel around the world and I wouldn't stay anywhere else next time I'm in Istanbul! We have contacted booking 2 times in the first night of our stay. After sending some photos of the room, booking has contacted the hotel owner and cancelled our booking and let us pay only for the first night instead 7 nights. We left the hotel after the first night and found a hotel near taksim square which was a much better place and the same price (even 10€ less). I had a pleasant stay at Blue Mosque hotel. Mr Kubilay the hotel manager went up and beyond, very helpful and accommodate. I made the booking on last minute he managed to meet all the requests without any flaws. The hotel is clean and location just in the heart of Sultanahmet. If I come back to Istanbul, I will stay in this hotel. Highly recommend. Istanbul Gonen is one of the best hotels to stay, if you chose an hotel near the outlet mall starcity & the mall of istanbul also the Airport. Would like to say that i always choose this hotel for at least one night stay before going to the Airport since it’s very close. Reasonable price, location is great (less than 2 minutes away from Taksim square), room is clean & staff are friendly and very helpful specially Mr. Salih and Mr. Selcuk. I Would definitely book this hotel again next time i visit Istanbul.